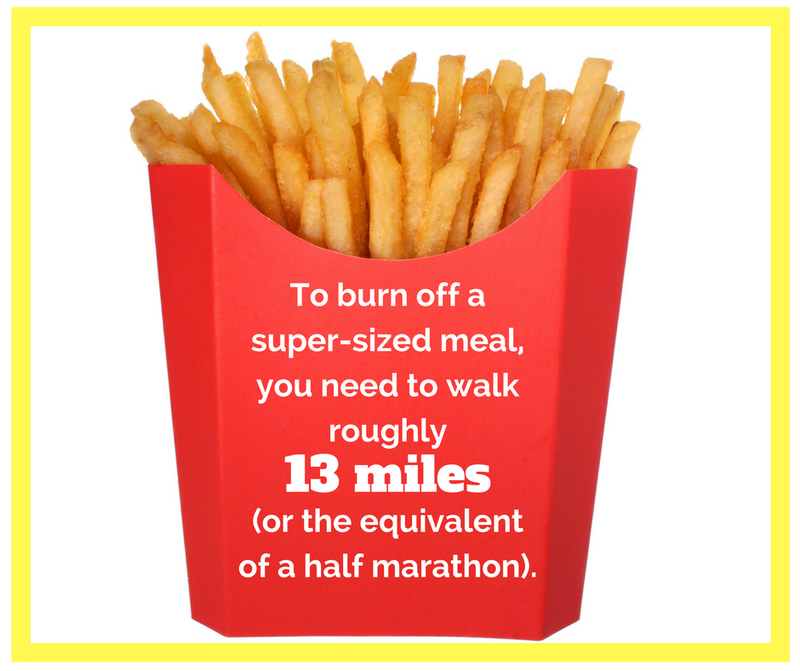 Walking Fact Wednesday – only 3 more to go! This entry was posted in Walking Fact Wednesdays and tagged #stepitup, burn calories, fast food, half marathon, supersize, walking by Walk With Joelle. Bookmark the permalink.